The 4th annual FreeTaxUSA Shootout is back this year with two 2014 state champion teams and more of the best high school basketball teams in the west. This year there are five teams representing Utah: Lone Peak, Orem, Timpview, Jordan and Wasatch Academy. Colorado teams Denver East, who won the tournament last year, and Overland, who is ranked as the top Colorado team this year, are out-of-state teams returning for this premiere basketball tournament. Kahuku (Hawaii) and Richland (Washington) are the other two teams filling out the tournament bracket. Both Lone Peak and Denver East won the 5A state championship in their respective states. While there are many players in the FreeTaxUSA Shootout to keep an eye on, two players stand out from amongst the crowd. ESPN has ranked Lone Peak junior guard Frank Jackson as the 31st best player in the class of 2016. Overland junior forward De’Ron Davis is ranked 17th on ESPN’s best player list for the class of 2016. 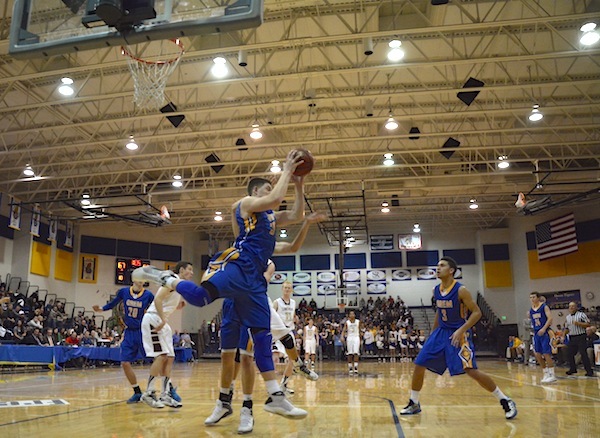 All tournament games will be players at Orem High School. Tickets cost $10 for adults and $5 for senior; the tickets are good for the entirety of the day they are purchased.